Along with other developments that have occurred in this era, building requirements include not only function and practicality but also encompass architectural elegance such as lighting and light-weight structures. Conventional latticed shell triangulation creates a poor architectural effect as well as mediocre lighting and excessive and cluttered componentry. A latticed shell with quadrilateral meshing is light and has excellent lighting properties, but it also has low rigidity and inferior stability. 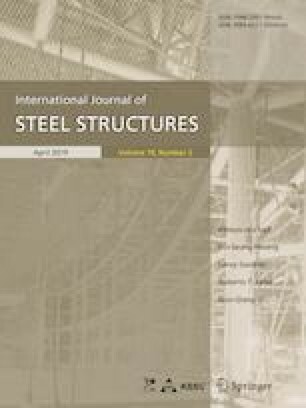 This study addresses this problem by deploying in-plane stayed cables and horizontal and vertical cables out-of-plane via a strut, and by developing a new single-layer spherical latticed shell system supported by cables. The effects that various parameters have on the mechanical properties of this structures such as the rise-span ratio, asymmetric load distribution, strut length, initial defects and cable pre-stress, are investigated based on mechanical responses such as structural displacement, internal force, critical bearing capacity and the instability modal. The basic rules of structural stress are summarised and examples of 100 m and 150 m large span latticed shell structures are used to verify and analyse the rules for the mechanical properties of this structure, and to investigate how applicable this type of architecture is in a large-span structure. Based on the sequence used to tension the cable(s) during construction, several plans for pre-stressing in-plane and out-of-plane cable(s) are also proposed. The effect that this pre-stressing sequence has on structural properties such as maximum displacement and critical bearing capacity is investigated at each stage of construction via a numerical simulation of the structure. A proper procedure for constructing this structure is also proposed to provide theoretical support for an actual project. Funding was provided by China Postdoctoral Science Foundation (Grant No. 2015M571422) and Heilongjiang Province Postdoctoral Science Foundation (LBH-Q17025).